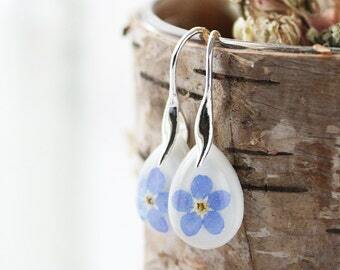 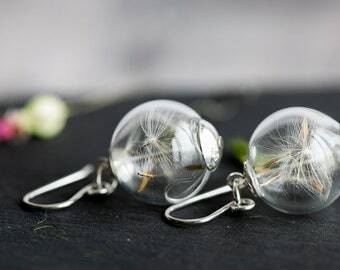 A beautiful pair of extra long, dandelion wish threader earrings, in solid sterling silver. 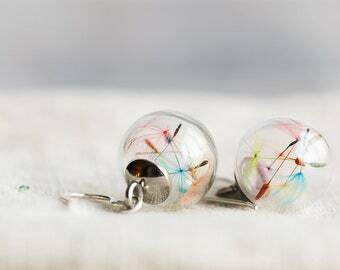 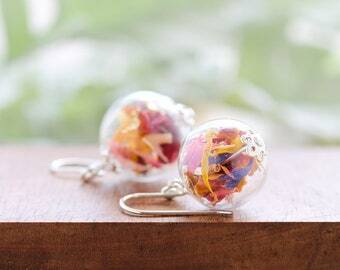 12mm glass globes filled with real dandelion wishes hang from 5" sterling silver threader earrings. 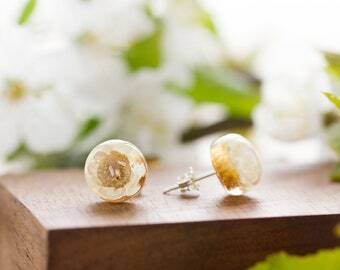 Theader earrings have a long "tail", making them incredibly elegant and tactile. 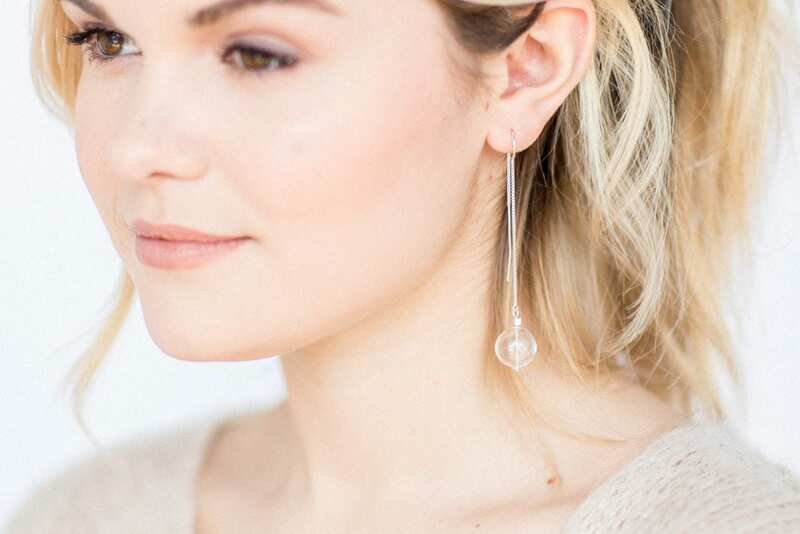 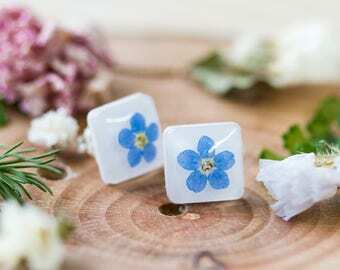 These earrings also feature tiny, little handmade sterling silver cube beads, and they are available with simply wishes, or with iridescent glitters. 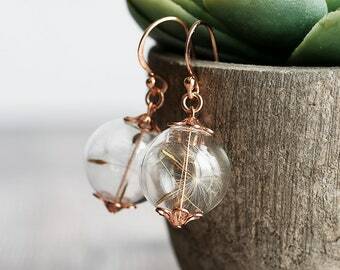 I love my new earrings. They look like she puts a lot of care into them. 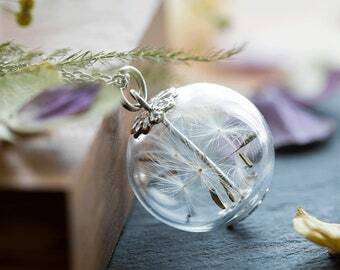 I would recommend this shop to anyone looking for pretty and unique jewelry. 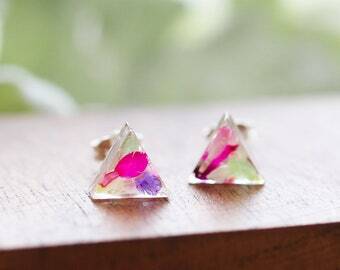 I adore these!!! 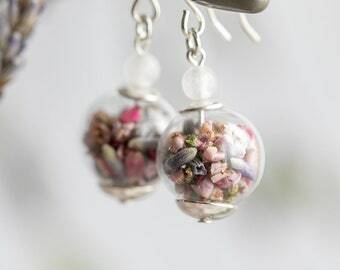 So whimsical and so pretty!